4 bedrooms, 3 bathrooms villa including, studio apt. w kitchen/bath. Geigel's Marchiquita Beach Villa consists of 4 bedroom 3 baths, including a studio apartment with a separate entrance and its own wooden deck, both with breathtaking views of the beach and the ocean. The villa was built by the owner in 2007. The Villa is fully furnished with a/c in every room, w/ refrigerator, stove and microwave in the house and studio. The villa is provided with a Direct TV satellite system, a DVD player and a variety of DVD's. If you need wifi, there are many businesses around that allow you to use it. The Yellow House is located on an 1800 sq.m. lot with plenty of coconut palm trees and beach grapes and banana plants. On your way to the beach you will see a prehistoric cave in all its natural beauty. The beach is a few minutes walk from the house. The owner has three kids and has lived close to the ocean all his life. As a young kid he spent long seasons in is father's boat traveling the Caribbean islands with his family and friends. When he was 17 years old he attended the U.S. Naval Academy in Annapolis. After graduation he served as an officer in the U.S. Navy SEAL Teams. After his tour in the NAVY, he returned to Puerto Rico and while working as an engineer completed law school. After a successful law practice, he is now semi-retired. His father was a Navy pilot and Coast Guard commander, his grandfather was a Navy commander, so the love of the ocean and the islands runs in his veins. The location is unique for its beauty. It is only 35 miles from San Juan. Gorgeous beaches, prehistoric caves and sporting adventures. toilet, shower, Double windows that open to a spectacular beach/ocean view. toilet, shower, Located in the studio. Showers built with safety in mind, therefore there are no tubs. Short walk from the beach. Explore cavern on your way to the beach. Solar water heater is provided. Turn on water heater. Brand new drying machine. You can also try sun drying. Two covered parkings. Plenty of visitors parking. Living room with access to a terrace with an unforgettable ocean view. Another living room with access to the patio and the dining room. Dining comfortably on the deck. The retractable awning provides a ceiling if it rains or to provide cover from the sun. Complete dining room with spectacular view of the beach/ocean. With spectacular view to the beach and ocean. Wooden deck with spectacular view to the beach and ocean. To the house, not the studio. My family and I enjoyed every second ! The home was very clean the views are breath taking ! The beach is very close :) we would definitely rent it again! We loved staying here. The house is beautiful with breathtaking views. There was plenty of sheets, towels, and toilet paper. Kitchen is completely equipped. We rented the house and the studio. It was a total of 10 of us. Carlos ( the owner ) was amazing. He waited around hours until we got there. Once there he showed us around the house, accommodated us with extra rollaway beds and told us where the great spots to visit were. Overall it was a GREAT EXPERIENCE I would definitely recommend this place to my friends and family. Thank you so much Carlos we will be visiting your house again. This group was great, I am truly looking forward to having them at the Yellow House again. There are many wonderful adventures to be had in Puerto Rico. Thank you for choosing the Yellow House for your vacation. Great to unwind at deck with the sound of the ocean! I stayed at this unit a couple of nights recently. It does have a spectacular bird’s eye view to the north coast shore!. A spectacle of stars, ocean breeze and the sounds of the waves makes a perfect night for having wine at the wooden deck. The unit was very clean and perfect for two guests, although the owner said he will provide and extra bed for another guest. It's walking distance from the beach, which is very popular among locals during weekends. We stayed at the deck sun bathing most of the day. Deck is very private. There are plenty places to eat around the area. We enjoyed Veronica’s Bakery. It serves breakfast, lunch and local coffee. Also, I hear Hacienda La Esperanza (an old sugar plantation) is a worthwhile tour but you have to make reservations to go. The owner can also help you with that. Manatí is in the northern coast of Puerto Rico about 30 miles west of San Juan, the capital. It includes three beautiful beaches, Marchiquta , where the rental property is located, Los Tubos beach, a couple miles to the east of Marchiquita beach and La Poza de las Mujeres( Women's cove) a preserved area to the west of the Marchiquita. Enjoying these beautiful beaches is a must. For the adventurous type, there is a zip line park about 20 minutes into the mountains. 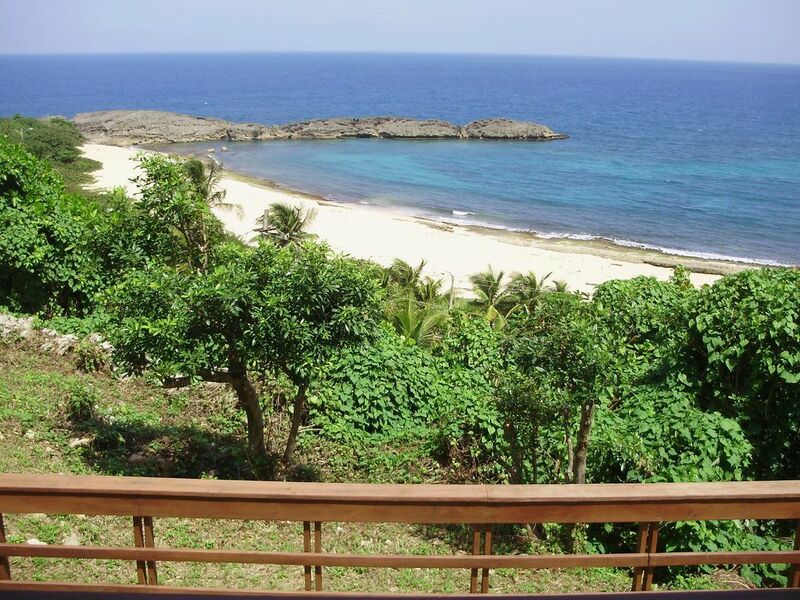 The owner will have a package with brochures of the sites available to visit in the Manatí area and in Puerto Rico.